He earned a prestigious appointment with Dr. Sam Kherani, Vice president of the Las Vegas Institute of Advanced Dental Studies. At Dr. Kherani's practice, he learned the principles behind cosmetic dentistry and the creation of beautiful smiles. He believes firmly that dentistry can be delivered in comfort and with a high ethical mandate. He is married to Dr. Richa Love of the Thorncliffe Medical Centre. They share a son and a daughter. 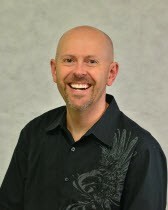 He took over Beddington Heights Dental Care in 2003 and expanded it into Love Dental. We are confident that we can provide excellent dentistry, gently performed in a comfortable setting. Dr. Love took over Panorama Hills Dental in December, 2017 and is turning it into a world class dental clinic complete with a wonderful, caring staff. Dr. Morvarid Monfaredzadeh’s (Dr. Mori) career in dentistry began in 2000 when she gained her Doctor of Dental Surgery Degree with honors from the Islamic Azad University in Tehran, Iran. Upon relocating to Canada, she has completed a number of advanced dental training courses while practicing in Ontario and Alberta. To keep up to date with the latest advances and developments in dentistry, Dr. Monfaredzadeh maintains a professional membership with the Alberta Dental Association, the International Congress of Oral Implantologists and the Ontario Dental Association. She attributes her success to her hard work and passion for the dental field, as well as the great mentors she has had. 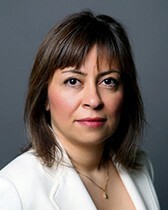 When she is not working, Dr. Monfaredzadeh enjoys tennis, skiing, fishing, and kayaking. 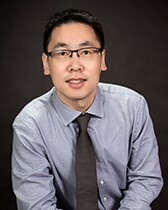 Dr. Roger Chen was born in China and graduated from West China University of Medical Science with a Doctoral degree of DDS (Doctor of Dental Surgery). Dr. Chen is bilingual; he speaks fluent Mandarin and English. Combining exceptional education, extensive clinical experience, and long-standing personal dedication to his career, Dr. Chen provides all his patients the best service. Being experienced in all aspects of general dentistry including Root Canal Treatment, Crown and Bridges, Cosmetic Dentistry, Surgical Removal of Wisdom Teeth, Implant Placement and Maxillofacial Surgery, he has been providing highly qualified services to thousands of patients. Dr. Chen has strived to stay up-to-date with continuing education courses in order to deliver the highest quality of care to all his patients in an easy-going manner. When he’s not practicing dentistry, Dr. Chen enjoys spending time with his wife, his two beautiful kids and his cute dog Winter. In his leisure time he enjoys reading books, watching movies and taking exercise. 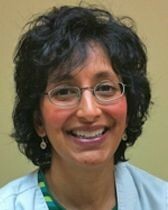 Dr. Sheila Varshney graduated from University of Manitoba with a DDS in 1991. She grew up and worked in Manitoba before moving to Calgary about 10 years ago. She joined Panorama Hills Dental Centre in the spring of 2008 as a part-time associate.